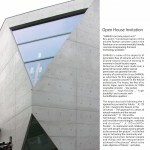 OPEN HOUSE (21-23 March): A private residence incorporating the state of the art environmental material. 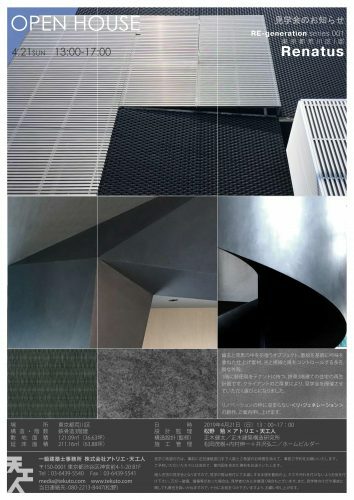 The new material is SHIRASU, the name of pyroclastic flow of volcanic ash, and 2 years of numerous experiments were carried out before a special individual permit was granted to use the SHIRASU concrete in the field of architecture. 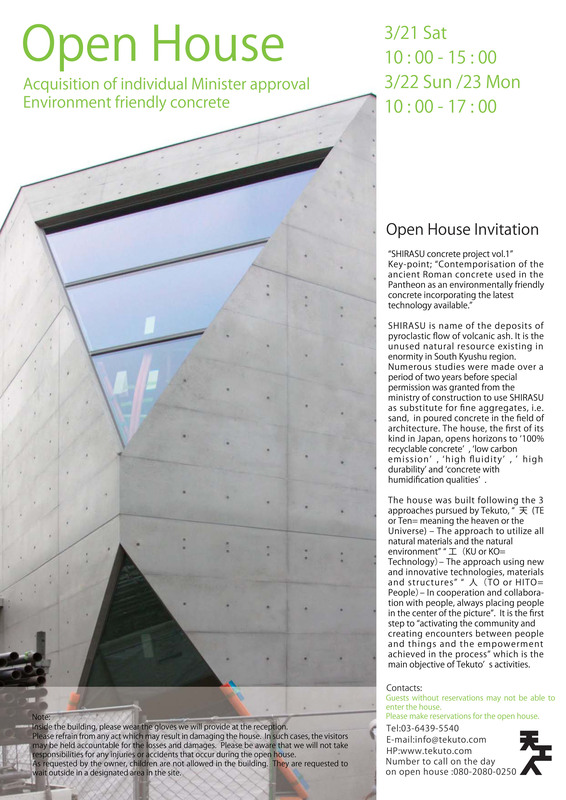 With the generous consent from the client, we are holding an open house. Guests without reservations may not be able to enter the house. We already received many reservations, however we still have some open slots after 3pm on 22(Sun)/23(Mon).